Hello. Welcome to my website. 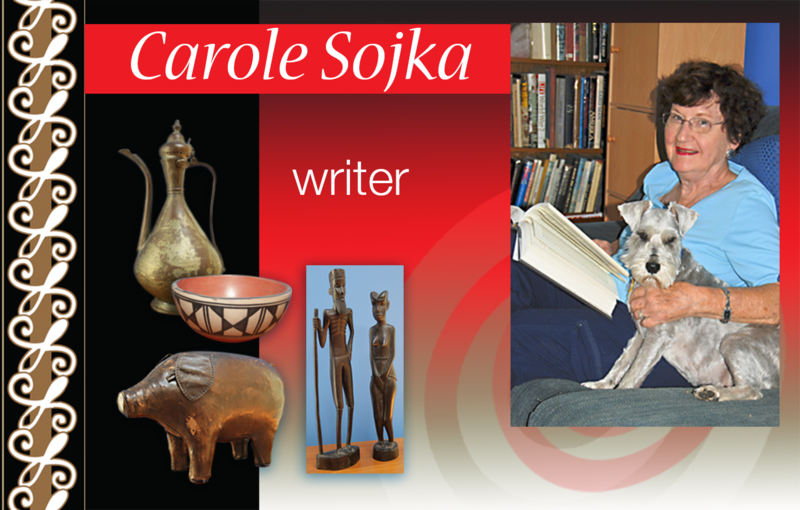 I’m Carole Sojka. I’m what’s called a “seat-of-the-pants” writer. That is, I don’t know where the book is going until I sit down and write. This can get me in some trouble, and of course rewriting and editing are very important. But there’s nothing like the surprise and pleasure I feel when the answer to some story question, like “Why didn’t she tell him?” or “Why would she have gone there?” or “How come she didn’t know that?” which has plagued me for days is suddenly revealed and makes perfect sense. I’m certainly not at all like Elizabeth George or J. K. Rowling, who plot everything out before they ever start writing. That gives me the heebie-jeebies! My first novel, A REASON TO KILL, was published September 16, 2014 and features a female police detective named Andi Battaglia who works in a small town on the east coast of Florida. “Why Florida?” my California friends ask? Because, like most writers, I got fixated on something that interested me: the Houses of Refuge on the Atlantic coast of Florida; and although they pretty much disappeared from the final version of the book, the fixation set the stage. So I was stuck in Florida. My second in the series titled, SO MANY REASONS TO DIE, was published February 23, 2015. Again, this features Andi Battaglia, but with another detective, a cop from Miami named Greg Lamont whose former lover, Miranda, is murdered in Andi’s small town. Miranda turns out to have many, many secrets and many reasons for someone to murder her. If you’re interested in what I’ve written, select the writing samples tab at the top of this page and it will take you to the first chapter of each novel for a good read. I’ve also written a bunch of short stories. “Art Can Be Murder,” was published in an anthology by Red Coyote Press entitled MEDIUM OF MURDER (www.redcoyotepress.com). “Dreams” was published in the December issue of The Storyteller: A Writer’s Magazine (www.thestorytellermagazine.com).